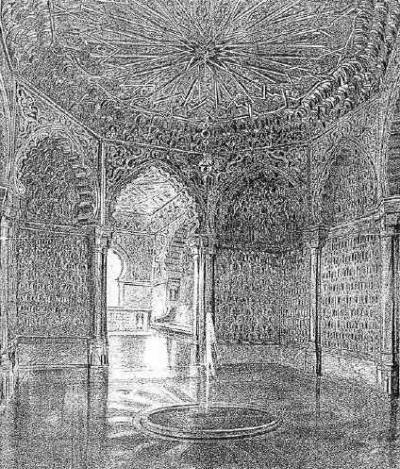 Part of the first hot room (tepidarium) in the Turkish bath at Colonel North's home at Avery Hill, Eltham, Kent. (Eltham is now within the London Borough of Greenwich). Through the archway can be seen the hottest room (the caldarium) with its window overlooking the grounds.